Romantics rejoice: Taylor Knox returns this week with a collection of T-shirt-ready sentiments that will have you bopping along — and perhaps squeezing your partner a little tighter. 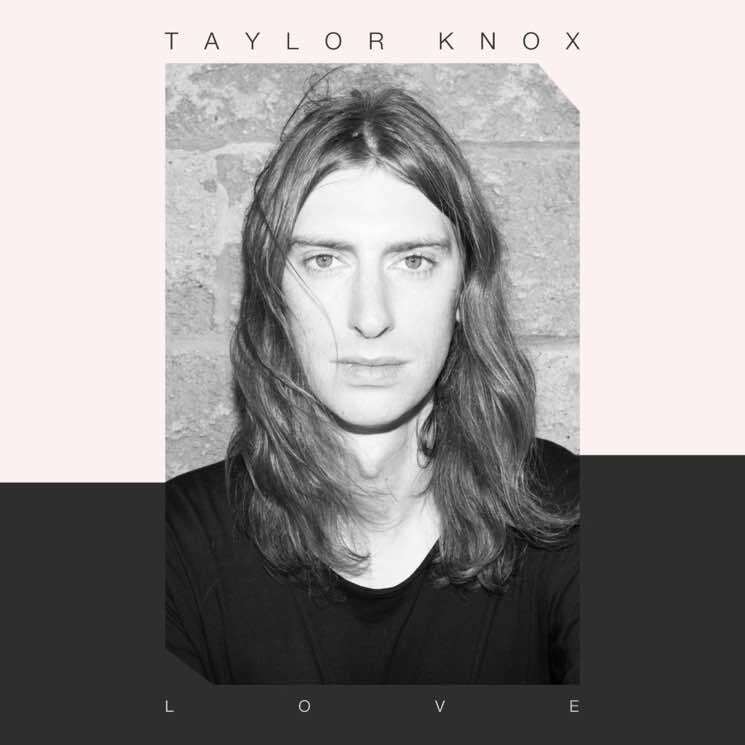 Knox, who has played with the likes of Owen Pallett, Hayden and Alvvays (Molly Rankin is featured in backing vocals on a few tunes) and previously recorded as Taylor Knox Band, is going it alone on Love, his debut solo album. Produced with Afie Jurvanen (Bahamas), Love is a punchy debut featuring bright and often crunchy guitars, straightforwardly heartfelt lyrics and Knox's sweet, slightly vulnerable voice. These are non-pretentious, easygoing tunes, mostly following pop song structures with hummable melodies and clap-along choruses — save for "Oh Young Love," which takes a curious switch-up about halfway in. Knox lays it all out on the table here — love is the theme, and he addresses all of the staple moments one experiences when in it, including feelings of pure infatuation ("You are my everything, with you it's always summer," he croons in album standout "Running Into Love"), caring ("If you should ever be worried, girl, I'd be there in a hurry 'cause you're my world" in "It Will Always Be This Way"), desire ("I need you, love, I need your love tonight" in "Love Love Love") and commitment ("I can see my future in your eyes," also from "Love Love Love"), without being too poetic about it all. Knox is a man in love, and he wants it known. Simple sweetness abounds. "My partner and I got married last year, so there was certainly a lot of inspiration from our eight-year journey together," Knox says in the album's press release. "I used to think love songs were boring and 'too easy' to write, but I came to realize that, if anything, it's more of a challenge to write a song about love and not resort to clichés. Love is also what the world needs right now." Aside from his not so silly little love songs, there are danceable moments ("The Stars," with tambourine shakes that will surely induce a shimmy or two), a pop-rock ode to the weekend (the fun and radio-friendly "Saturday") and punchier cuts, too ("Wishing Well").